Google just launched the $249 11.6-inch ARM-based Samsung Chromebook. It's one of the lightest laptops on the market weighs only 2.5 pounds, 0.8-inches thick, more than 6 hours of battery life, supports 1080p video playback and comes with 100GB of free Google Drive storage for two years. Other specs includes - Samsung Exynos 5 Dual Processor, 2GB of RAM, VGA cam, Built-in dual band Wi-Fi 802.11 a/b/g/n, HDMI port, Bluetooth, one USB 3.0 and USB 2.0 port each. 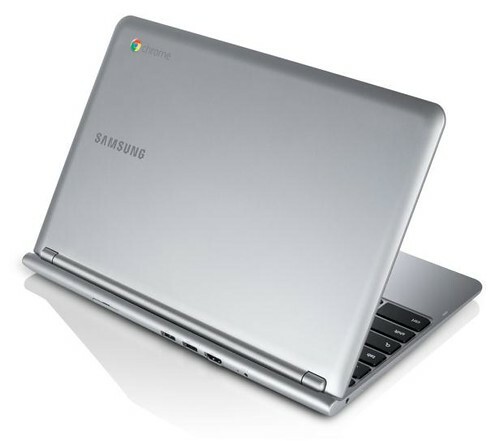 The new Samsung Chromebook is available for pre-order online from Amazon, Best Buy, PC World and other retailers. Next week it will be available for sale from these same online retailers as well as the Google Play store. You can also buy them at over 500 Best Buy stores across the U.S and over 30 PC World and Currys stores in the U.K.